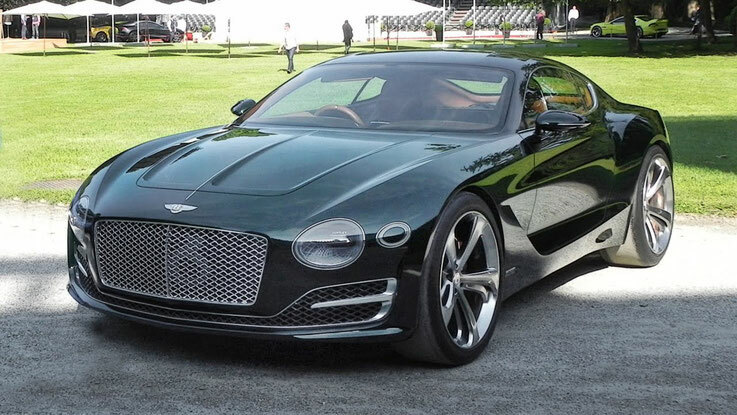 Like many other well-known brands to its name the company Bentley Motors received by the founder of the family name - in this case, Walter Bentley. This talented engineer and a real fan of racing desired to create this monster, which would not have been equal to the racetrack. It is now the Bentley name causes the majority of the association with the powerful, but very massive and rather clumsy dreadnoughts. And here are the first company cars could only boast exceptional technical component. Bentley little worried about the luxury and design of the body, this is not the most important part of the sports car he had put forward only one demand - that all were gathered tightly. Officially, the company was founded in 1919. Immediately attracted the attention by presenting the exhibition in London model Bentley 3L. «3L» meant that the volume of four-cylinder engine of this miracle is 3 liters. Available car appeared in 1921. We can not say that he enjoyed so popular because between him and ordinary motorist was too high, although justifiable cost. Bentley Motors has made a sweeping gesture, giving all its models a guarantee of five years. There are other models with a winged letter "B", hovering above the grille. Even more powerful, more expensive and still with the grotesque Spartan salons. It managed to keep afloat only thanks to victories in motor racing, like "24 Hours of Le Mans", which provided good publicity and attract more buyers. It was not until 1930, when its rights entered the Great Depression. The situation is aggravated and the unfortunate incident when a racing car Bentley could not even get to the finish line, having descended from a distance. Bentley also remained true to himself, presenting consumers with another, more expensive model. The results are not long in coming. The company, once on the verge of bankruptcy bought another manufacturer of ultra-expensive cars - the company Rolls-Royce Motors Ltd.
Bentley was asked to stay in the company, concluding with him a four-year contract, which he is still gone after. The history of Bentley Motors has since gone the other way. Rolls-Royce management has decided not to participate in a car race, while maintaining, at the same time, the sports component of the Bentley. It was decided to do so: at the time, as the Rolls-Royce cars are designed for consumers who want to ride in exclusive luxury, but not getting into the car alone, the Bentley positioned for the affluent motorists who did not need a personal chauffeur. It was created several gradations Bentley - «Red Label» (the main focus was on comfort), «Black Label» (emphasis - sports figures) and «Green Label» (cross). But gradually the company Bentley Motors went into a shadow of its owner. Produced its model though attracted fans around the world, in fact is a kind of copies of Rolls-Royce, a little more affordable, with better sports facilities. Cars for those who want to go as quickly as possible, but with the comfort, which is devoid of racing cars like Bugatti or Ferrari. Bentley revival began in 1980, when Rolls-Royce Motors Ltd. acquired by Vikers. 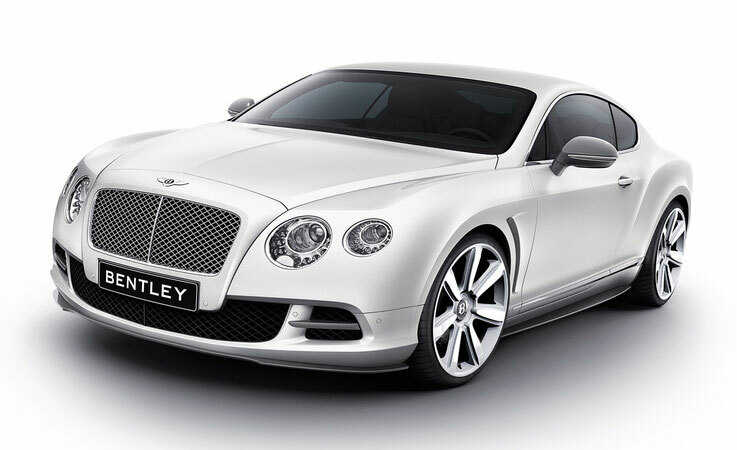 At present day Bentley Motors - is part of the Volkswagen Group, of which it entered in 1998. In the same year he and Rolls-Royce moved to another German company joining the BMW Group. For Bentley Motors Company began a new era, its automobiles not only regained their identity, but also returned to the racing tracks. In 2003 he was again defeated at Le Mans (until 1930 it was as much as five per se). The most famous was the model Bentley S-2, which once belonged to John Lennon. He acquired it for the sole purpose of advertising the new album The Beatles - «Yellow Submarine». For this car specially painted most unimaginable figures, so strange looking at such a prestigious model. When you create a Bentley car, their interiors are trimmed by hand wheel. Thus, for each model requires 135 meters of thread. When creating the wheel requires complex technology using two needles, whereby the process becomes very complicated and takes about 15 hours.